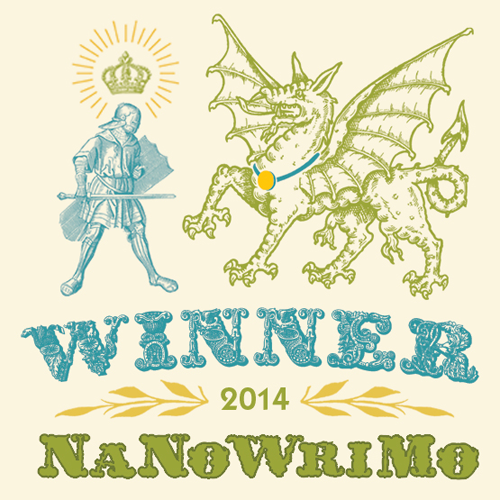 I’ve finished NaNoWriMo with 20 days to spare. I wrote 50,005 words averaging at around 5,000 words a day (according to the addictive stats on the site). NaNoWriMo is so huge now and whenever I look to see how many people are on the forums there are always over 100,000 writers. Maybe there are too many of us. I was lucky in that I’ve had some spare time to write (because I am working part-time hours at the moment) My wife is also doing the challenge and she has somehow reached over 15,000 words. But it is much harder for her because she has been working full-time hours with overtime commitments. And she is writing by hand. When I completed the challenge I updated my word count on the main NaNoWriMo site expecting some huge congratulations or some amazing graphic to flash up. Instead it just said ‘You made it’ in an obscure part of the webpage. It was a little like completing a really hard computer game and looking forward to a fantastic end-sequence only to get the words ‘You win. Game over’. But there it is. I now have a rough draft for a new novel. If I go back to it I will need to do a lot of work on editing, but at least I have some more spare material now. Now I shall be focusing my spare time on the final edit of my novel Destiny and Dynasty. This is about the same length as the NaNoWriMo novel (but it took a tad longer to write). It will still be published (first as an ebook) on the 15th December on Amazon.